We are a non-profit organisation that hosts monthly Egyptological themed meetings that are open to members and visitors alike. These meetings are held on Saturday afternoons at Oasis Academy in Lordshill and feature an illustrated lecture presented by a speaker from the world of Egyptology. Our meetings usually take place on the third Saturday of the month (in August, there is no meeting, and in December the meeting is on the second Saturday.) Doors open at 1.30 pm. The lectures are split into two sessions with FREE refreshments served in the break. Lectures commence promptly at 2 pm. and meetings conclude around 4.30 pm. Whatever your age or level of interest why not come along and see what SAES can offer you? We provide an opportunity for enthusiasts to meet up and share their interests in a friendly and informal social setting. Since our founding in 1998, our membership and reputation amongst other UK societies has ensured that we continue to secure lectures from top class speakers. Our monthly meetings take place at the Oasis Academy, Lord's Hill in a comfortable, modern and welcoming environment with disabled access and ample on-site parking. The venue is well served by public transport and within easy reach of the M27. Occasionally we also host themed study days and additional evening 'Members' Meetings' with speakers from our own Society who wish to share their enthusiasm for Ancient Egypt, Egyptology and Egyptomania. The Society Newsletter is "Hotep", and is published in electronic format to members. Contributions are welcome. The Society occasionally arranges visits to museums, exhibitions, collections of Egyptological interest. In the past these have included the British Museum, the Petrie Museum, the Ashmolean Museum, the Pitt Rivers Museum, Eton College, Paris, Turin, Berlin, Madrid, Luxor, Lake Nasser and Cairo. If you have any questions, please contact our Secretary at info@southamptonancientsociety.co.uk or telephone 07812 851095. 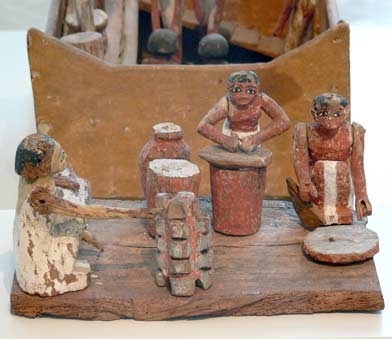 The Society also arranges visits to museums, exhibitions, collections of Egyptological interest. In the past these have included the British Museum, the Petrie Museum, the Ashmolean Museum, the Pitt Rivers Museum, Eton College, Paris, Turin, Berlin, Madrid, Luxor, Lake Nasser and Cairo.